When we shared that we were headed to London we received the most incredible list of recommendations. I was blown away by not only the vast amount of recommendations but the quality of them. We were barely able to crack the surface on them all while we were there, but we felt terrible letting it all go to waste so we wanted to create a list of all of your recommendations with coordinating neighborhoods so you could plan accordingly. London is a large city and so taking it one bite at a time is very important. The problem I found when looking at guides was that they were lists and most things would be all over the city so hitting them all in a smart way was hard. Instead, I wanted to give you a neighborhood/tube stop for each place and then I have placed all of them on Google Maps for you to see as well. We find starring all the places we want to go makes it easy to know what we want to see and experience in a city. Our hope is that this helps you see this amazing city with even more ease and less exhaustion. There is a lot to see so let’s just get started. Here is our full Google Map with everything from the list above. I highly suggest using this while you are there. Google Maps stays loaded up if you load it before leaving wifi. Also, download a tube map app on your phone that works without wifi as well so you can easily find a great route around the city. As always if you have any other tips or suggestions please leave them in the comments. I try to go back and add in places people suggest when I have extra time. I hope this helps so many of you have an amazing time in London! It is a great place to visit. This is such an excellent and helpful post, thank you for taking the time to put together such fantastic recommendations! I’ve only been to a handful of these places and will definitely check more out when I’m next in London. Great guide MEGAN & MIKE! I think you would have loved Present & Correct, Pedlars, You CAN NOW, BOTANY, and the wonderful food at any of Ottolenghi’s restaurants. Can’t wait to go back! I’m bookmarking this post! I plan on visiting London soon and this will be a great resource when it comes time to plan the trip. Thanks for putting such a comprehensive guide together! GREAT CHOICES, SPEAKING AS A LONDONER MYSELF. JUST A SMALL THING BUT EXMOUTH MARKET ISN’T IN EXMOUTH -exmouth is actually in DEVON! I love your travel guides so much! I hope to go to London soon in the next two years; this post is very helpful! This is incredible! I’ve been dreaming of visiting London lately, so I’m bookmarking this for when I finally make it across the pond! I believe you did London justice! 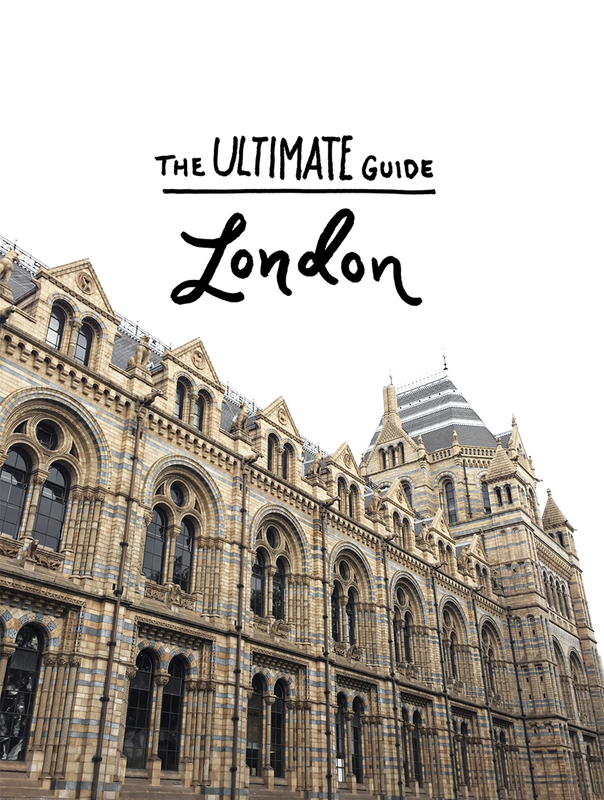 This post is incredible and one of the best london guides I have seen. I love the list of shops you mentioned. I have been to a few of the ones you mentioned in shoreditch, but there are definitely others I need to check out. I Love your blog it is an amazing travel guide that I will definitely be passing on to friends and family. I currently live in London but unfortunately I only have a month until I move back home. this gave me some ideas on some places I want to try before I leave. Bookmarking for my next trip, thank you! This is so helpful – thank you!! Im off to London In January so this will be incredibly helpful. Cant wait to check some of the placeS out! !